Josh Naylor is rated as one of the best first base prospects in all of baseball, but he is blocked by Eric Hosmer. 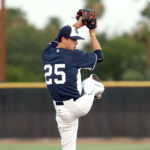 Where and how would he fit on this year’s San Diego Padres team? Since Eric Hosmer is firmly planted at first base, Josh Naylor is trying his hand in the outfield to break into the big leagues. Observing Naylor in the outfield on Tuesday night in Tacoma, nothing he did made me think he could not play at least a serviceable outfield in the big leagues. There is little doubt that his bat will be major league ready very soon, perhaps it already is. His hitting and power grades are both 55, which is considered slightly above average. FanGraphs rates his raw power at 70, which is well above average. The million dollar question is can Naylor translate that to a 25-homer season? 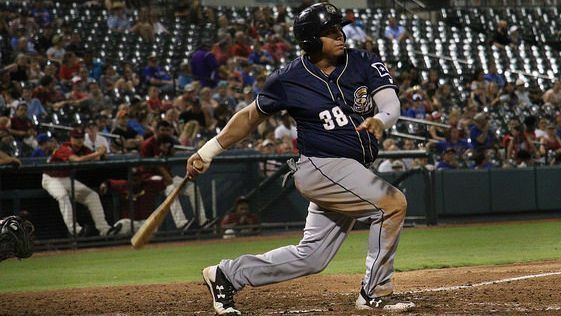 He tore apart the hitter-friendly Texas League with Double-A San Antonio last season, with a .297 average, 17 home runs and a 128 wRC+ in 128 games for the Missions in 2018. This season, he is off to a good start at the plate as well. Coming into Tuesday’s game, he is hitting .304 with one home run and a 119 wRC+. He was 1-for-4 with a clutch RBI single and a walk in Tuesday’s loss to the Tacoma Rainiers. With him being a left-handed bat with a mature approach at the plate, could he fit into the Padres’ plans this season? The Friars already have two right-handed power bats in the outfield in Hunter Renfroe and Franmil Reyes, neither of which are going to win any Gold Gloves anytime soon. Naylor would be a lefty to throw into the mix, with his defense likely not much worse than what those two play. Couple that with the fact that the Padres are currently down two left-handed outfielders in Travis Jankowski (60-day IL, fractured wrist) and Franchy Cordero (10-day IL, elbow sprain), Naylor could have a place as a powerful outfield depth piece. 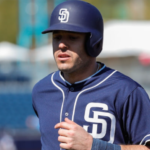 The Padres likely want him to keep getting everyday at-bats and reps in the outfield in Triple-A rather than come off the bench in the big leagues. Naylor needs to show he is still progressing at the plate. The saying goes, if you hit good enough, they will find a place for you. 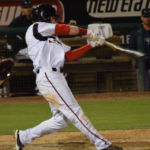 If Naylor continues to rake in the Pacific Coast League, the Padres will not be able to ignore him for long. The Friars’ plans for the young Canadian slugger are unclear; perhaps he is a trade piece for a proven starter? Maybe he is meant to push the likes of Renfroe and Reyes for playing time down the line? 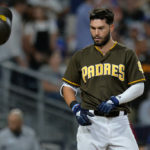 The Padres have a surplus of right-handed power hitters up and down the lineup with Manny Machado, Wil Myers, Hunter Renfroe, Franmil Reyes, and Austin Hedges. 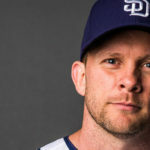 Naylor would add a lefty bat that the Padres need to balance the lineup, even if it’s just off of the bench. He could spell Hosmer at first base when needed, which is not very often. The Padres do not have a single lefty in the outfield, and only Hosmer and Greg Garcia represent left-handed hitters on the active roster. 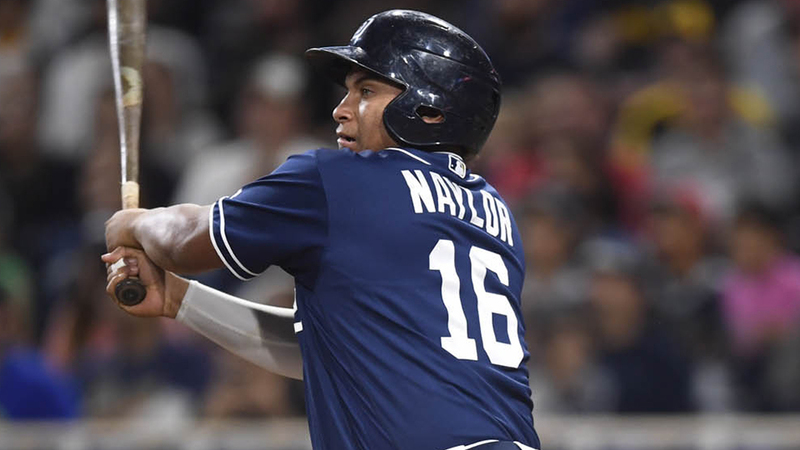 The Padres should view Naylor as a viable lefty bat that can do anything Reyes or Renfroe are doing in the outfield. I’m a fan of Naylor. I think a healthy Padres roster doesn’t have a place for him in the outfield rotation. I don’t have a strong feeling beyond that. That reads a lot harsher than I thought it in my head. Sorry. We’ll see if he rebounds and becomes a key cog in a long series of playoff runs or not. Naylor should play. The Hosmer contract was an idiocy, but that is now a sunk cost. What is a continuing mistake is Andy Green’s insistence on batting the Ground Ball King in the 2nd spot. Benching a player with Hosmer’s contract, and with his reputation is just not done, but if a GM were to do so it might a GM like Preller. Long term the club has to hope Hosmer changes, but when he doesn’t they will have to bite the bullet and get him to waive his no trade clause, pay down his salary and trade him. The only leverage they have over him is playing time. If they start linking playing time to performance, and playing Naylor, it will begin the process of ridding themselves of what is surely one of the worst contracts in baseball (probably bottom 20). Good article, and you make some good points (particularly about defense). While I understand why, there is still the assumption that Hosmer should play, and play everyday. Why? What is the criteria for one player playing over another? How much they are paid, or how well they play? 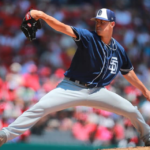 If the Padres were to play the best players, then at what point would he sit? 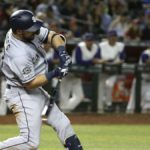 It is still early in the season, so perhaps we all agree Hosmer should be given plenty of time. However, unless things change (by basing things on last year as well, where he ranks below average!) then he should sit more often……but only if we use the criteria of playing the best players. At a minimum, Hosmer should be batting 7th or 8th, and not in the top 5. Mejia can be seen as a lefty since that’s typically how he bats. If the matchup is better righty, he’ll go that way but it seems like 4/5 times he bats lefty with how heavy our lineup is.